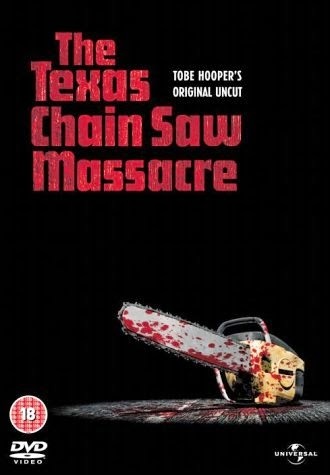 Tobe Hooper’s “The Texas Chain Saw Massacre” follows five friends visiting their Grandpa’s old house in a deserted area of Texas, soon to fall victim to a Chainsaw wielding maniac and his cannibalistic, grave-robbing family. Slasher films from the 70’s ‘til present day are well known for their extravagant use of violence and gore, usually topped with a handful of below average acting. Unlike other films in this genre, ‘Chain Saw’ isn’t about being as over the top as it can, or fitting in as many gory, and inventive deaths as they can (like it’s surprisingly ok remake, the so-so prequel to that, and the sequels to this film, mainly the strangely laughable sequel, which didn’t take itself seriously at all), no, ‘Chain Saw’ isn’t about grossing you out, and having a fun night in with your friends, it’s about pushing you, as a viewer, to the limits, similar to the theatre practitioner ‘Artaud’, with certain imagery and noises, it’s idea is to make you feel uncomfortable. ‘Chain Saw’ plays the whole “Based on a true story” card, Tobe Hooper wants you to think this actually happened, seeing as we hear stories in the news all the time, and many have heard of Ed Gein (who actually inspired this film, along with Psycho and Silence of The Lambs), it’s quite easy to believe that it could be true, and there’s nothing scarier than something that is real. The first image we see is the flash of a rotting corpse, with the sound of a camera flashing and someone digging. We then get a long shot of two decomposing corpses stuck together on a monument in a grave yard, made to look like a work of art, the camera slowly pans out, with a news report in the background about a grave robbery and this “work of art”, and then it cuts to the titled card. Seconds in and they’ve managed to make you feel uncomfortable and grossed out, by showing us a lingering shot of a realistic, rotting corpse, you don’t particularly want to look at it, but it’s the only thing they have given you to focus on. On the way to their Grandpa’s house, the five friends pick up a hitchhiker; he is dirty, has blood on him and is clearly not mentally stable. After self harming himself and attacking Franklin, the wheelchair bound friend, he is kicked out of the minivan. The Hitchhiker sets us up for later characters, already giving us a taste of what we’re in for, and that the area is not to be trusted. The acting with most characters, insane and sane, is surprisingly good, unfortunately it’s Franklin that really lets it all down, with his performance quite laughable. Once they reach the Grandpa’s old derelict house, they decide to go off and do their own things, which is never a good idea. Kirk and Pam, two of the friends, decide to go off and find a lake, instead, they come across a house and decide to ask the owners for any spare fuel. The house is enough to make you feel uncomfortable, it’s extremely dirty, with animal bones and skulls, caged chickens, feathers all over the floor and human skulls with bones made to look like some form of art or trophies, it is clearly the house of a madman. At this point we have our first attack by the infamous Leather Face, there are no sound effects to make the audience jump, just the sound of a mallet hitting a skull, it makes the scene more brutal and almost real. Leather Face never speaks, instead he makes child-like noises, emphasising his insanity. Soon after we have one of the unlucky friends strapped to a table, while the other watches, hanging from a meat hook. There is a lack of actual on-screen gore, which isn’t a bad thing, while leather face cuts up the friend on the table the camera focuses more on the reaction of the other friend and the feet of the victim moving, other than that, we see nothing, it leaves a lot of the violence to your imagination, making it even more disturbing, your imagination is fare worse then any film. Again it plays on what you hear rather than see when Jerry goes looking for their friends, while outside the house; all he can hear is what sounds like chains and a female struggling. After another brutal yet bloodless attack, we witness Leather Face running about the kitchen, almost animal like, making childish and ape-like noises, there is something extremely terrifying about someone who has completely lost the plot, and this is obvious with Leather Face. The last half hour of the film is sure to give you a headache, but the constant sound of a revving chainsaw and a female’s scream is nothing short of unsettling and will stick with you long after the film has finished. The film doesn’t play the jump factor, it wants you to feel unsettled with the use of these loud noises, putting you in Sally’s shoes, pushing you to the limits, instead of making you jump, it wishes to disturb you. We then see into the lives of this mentally unstable family, the father holding in his urges to beat Sally with a stick while laughing, grinning and moving his eyes manically, we also see Leather Face wearing the face of an old lady, making noises that sound like that of an old woman, but never making any sense, hinting a multiple personality disorder. Sally wakes up at a dinner table with this psychotic family, as she screams the family laugh and howl, we see them as wild animals and savages, not humans. After a gripping escape, we see Sally covered in blood, laughing and screaming manically, we are hoping it’s because of her lucky escape, but you can’t help but feel that the mad family has managed to make her mask of sanity crack. The shot is followed by a final image of Leather Face swinging is chainsaw about; his mannerisms are as manic as Sally’s. Overall, ‘The Texas Chain Saw Massacre’ won’t make you jump, it won’t make you look away due to bloody violence, but it does manage to be brutal without the use of graphic violence, it is evidence that you don’t need gore to make a good slasher film or just a horror film overall. ‘Chain Saw’ will stick with you for a long time afterwards; it’s a disturbing experience that really does want to push you to your limits as a viewer. It never needed a sequel, but we can only hope that “Texas Chainsaw 3D” is as good as the remake, but it will never overcome the original, as throughout the decades, it seems people have forgotten that you don’t need limbs flying to make a great ‘Chain Saw’ movie.